Fostering industrial development in Africa in the new global environment - a report by the United Nations Development Programme. After gaining political independence, which occurred mainly in the 1960s, most African countries started to promote industrialization. The emphasis on industrialization was based on the political conviction by African leaders that it was necessary to ensure self-reliance and reduce dependence on advanced countries. Furthermore, there was the expectation that industrialization would hasten the transformation of African countries from agricultural to modern economies, create employment opportunities, raise incomes as well as living standards, and reduce vulnerability to terms of trade shocks resulting from dependence on primary commodity exports. But during the 1970s, with successive oil shocks and an emerging debt problem, it started to become clear that import substitution industrialization was not sustainable. with the introduction of structural adjustment programmes in the 1980s, African countries curtailed specific policy efforts to promote industrialization and focused on removing anti-export biases and furthering specialization according to comparative advantage. It was expected that competitive pressures would revitalize economic activity by leading to the survival of the fittest. But whilst these policies were certainly intended to have structural effects, the conventional view is that they did not boost industrialization in the region (Soludo, ogbu and Chang 2004). 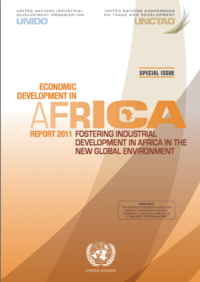 In recent years, African countries have demonstrated renewed commitment to industrialization as part of a broader agenda to diversify their economies, build resilience to shocks, and develop productive capacity for high and sustained economic growth, the creation of employment opportunities and substantial poverty reduction. For instance, in January 2007, the South African government adopted the National Industrial Policy Framework (NIPF) aimed at diversifying the production and export structure, promoting labour-absorbing industrialization, moving towards a knowledge economy, and contributing to the industrial development of the region. It has also unveiled Industrial Policy Action Plans (IPAP) to implement the framework. The first IPAP was adopted by the National Cabinet in August 2007 and was for the period 2007/08 while the second IPAP was adopted in February 2009 and covers the period 2010/11 to 2012/13. other countries in the region have also taken steps recently to build a modern, competitive, and dynamic industrial sector. For example, industrialization is a component of recent national development programmes unveiled by egypt, ethiopia, kenya, Namibia, Nigeria and Uganda (Altenburg, 2011). The commitment of African countries to industrialization is also evident at the regional level. The New Partnership for Africa’s Development (NePAD) adopted by African leaders in 2001 identified economic transformation through industrialization as a critical vehicle for growth and poverty reduction in the region. Furthermore, in February 2008, African Heads of State adopted a Plan of Action for the Accelerated Industrial Development of Africa (AIDA). Implementation strategies for the Plan were subsequently endorsed by African Ministers at the 2008 Conference of African Ministers of Industry (CAMI). At the 2011 CAMI organized by the African Union, the United Nations Industrial Development organization (UNIDo) and the government of Algeria, participants deliberated on the effective implementation of AIDA and how to achieve sustainable industrial development in Africa. The new commitments build on past regional initiatives such as the lagos Plan of Action (1980), the Abuja Treaty establishing the African economic Community (adopted in 1991), and the Alliance for Africa’s Industrialization (1996), which also stressed the need for diversification and economic transformation as a critical vehicle for achieving African self-reliance. At the global level, there is also interest in drawing attention to issues and challenges of industrial development in Africa as evidenced by the fact that at the 85th plenary meeting of the United Nations general Assembly held in December 1989, the international community adopted Resolution 44/237 proclaiming 20 November as the Africa Industrialization Day (AID). The AID is an annual event coordinated by UNIDo and the first celebration was held in 1990. The AID is used to mobilize support and commitment of the international community to the industrialization of Africa. It is also an occasion for African countries to review progress made in industrial development and chart a way forward. The theme for the AID varies from year to year. In 2010 the event was held under the theme Competitive Industries for the Development of Africa. All whitepapers are available to you and free of charge. 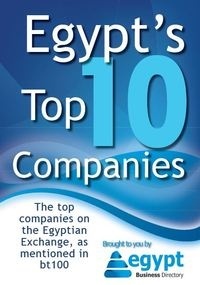 This whitepapers is provided by UNDP - United Nations Development Programme.